Disclosure: I received this product from MBV for review. This review contains affiliate links. The DNA 30 is a clone of a popular device from a company called Hana Modz. 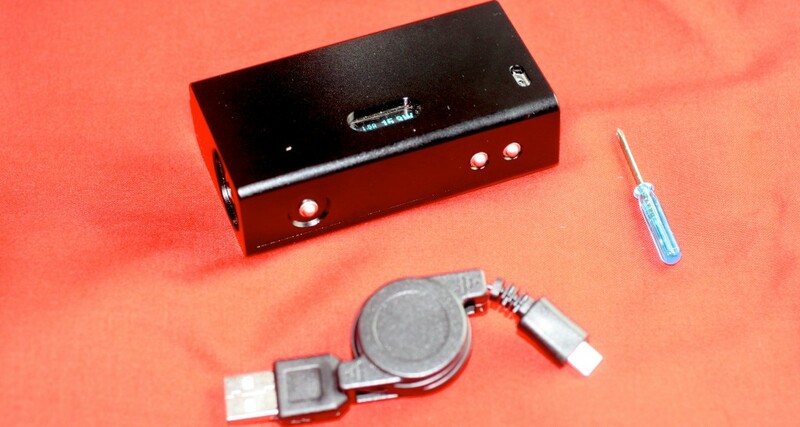 It is essentially a bulky aluminum box with a DNA 30 chip in it (the genuine item, that is). 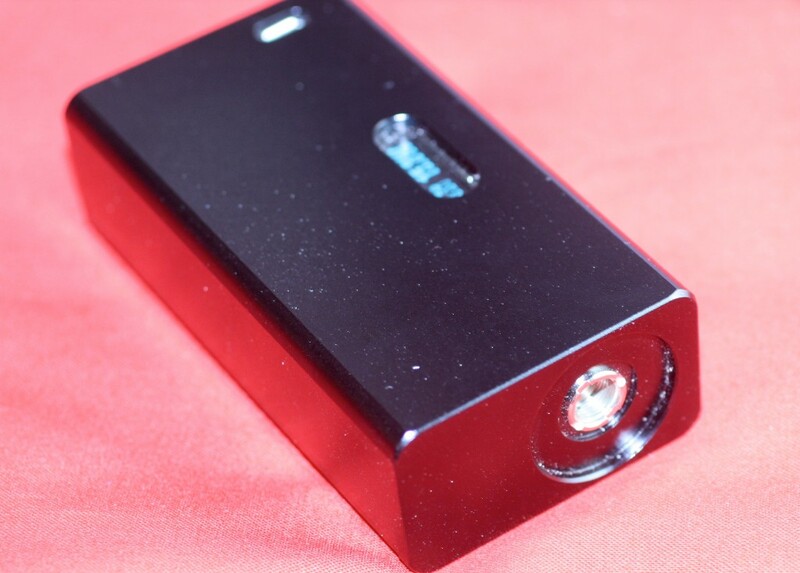 The Cana DNA 30 is both a clone of the original and rocks a clone of the DNA 30 chip. One thing that stands out about the Cana version is that the manufacturer elected to not put the original company’s logo or a fake serial number on the device. Of course that might have something to do with the fact that Hana sued several vendors for carrying counterfeit merchandise. There are a few style differences between the Cana and the original as well such as the placement of the vent hole, and some other minor features. As I mentioned earlier, this is a large box mod style device. It’s quite a bit bigger than the iTaste MVP series, which is my regular go-to boxy device. I think I have an average sized hand, and to me this mod is just a smidge too big. It takes a little bit of work to grip the thing. Fortunately, the edges are rounded making it a little easier to hang on to. There’s a large sort of indent for the battery connector on the top of the box. This connector is of the flush-mount 510 variety, so if you like eGo style tanks, you’ll need an adapter here. The indent does serve well as a drip catcher if you’re using an RDA on this device, more about that in the performance section. The front of the device features a rounded cut out where the DNA display is housed. The display will read out everything you need to know at a glance: current wattage setting, resistance, a battery graph and when you press the fire button, it shows the voltage being applied to the tank. The front also sports the micro USB port for charging. At first I didn’t like that location because it made using the device as a passthrough a tad awkward. However, being able to stand the device upright while charging is great, especially if you have a leaky dripping atomizer mounted up top. Along the left side of the box are the three buttons. A single button near the top for activating the vaping goodness and two control buttons for power up and down lower on the side reside in this spot. The fire button also features the same type of indent found on the 510 connector up top. If I’m being perfectly honest, I have to admit I despise these buttons. They have a very nice tactile click to them which I love. But, the buttons are too small. Along with the hard press action required to activate them, it just feels plain uncomfortable to engage the buttons. Along the back are two screws, located top and bottom. These screws are used to access the battery compartment behind the panel. The kit comes with one of those cute little blue screwdrivers. Don’t use it. The screwdriver is slightly too small for the screws, so you have a much better chance of stripping the screws than getting the back panel off. Once you get the panel off, you’ll see a place to put an 18650 battery along with a warning to make sure you put the battery in the right way. High performance batteries are recommended for this device since you’re going to be pushing a lot of power potentially through the thing. You may also like: Stainless Steel Lavatube Coming Soon! In fact, according to the blurb on the site, don’t expect to get close to the 30 watt mark without something like a Sony VTC 5 battery. Naturally, performance is going to be important in a device that boasts such a high power output. Yes, I know there are products out there that boast 150W. Honestly, what the hell are you going to do with that? In terms of more traditional tanks and things like that, you’ll probably not use even half of that capacity. Most BDC tanks I’ve used exist somewhere in the 8-12 watt range and even then that’s taxing them. RBAs come to mind for the performance target and that’s more or less where you’re going to use that power. The Cana can handle loads down to .3 ohm. I realize that isn’t super low resistance for many cloud chasers out there, but that’s still pretty low. I stayed conservative in my testing and ran a 1.2 ohm dual coil build on a dripper I’ll be reviewing soon. I found that I could easily push more power to the thing than my e-liquid itself could handle. The coils and wick didn’t burn, but the liquid sure started tasting super funky when I started creeping past the 20w mark. And yes, I did push it up to 30w on that build, which ran 6.1v of power through the coil. I ended up coughing like a teenager sneaking out back to smoke some Camels for the first time. That is what’s great about this device, it’s variable. So I can use it a lower cruising wattages for daily use with tanks like the Nautilus or for those rare moments when I decide to once again try my hand at RBAs and cloud chasing. It might be a personal thing, but I like multi tasking devices. I know there’s some real performance and/or specs junkies who 30w simply won’t do. But for the vast majority of the population, I don’t think it will be an issue. As far as the other aspects of using the device go, other than the buttons, which I’ve already griped about, it works very well. The small OLED screen is easy to read and shows you all the vitals at a glance. I’ve also heard some rumblings online about the safety features not working correctly on some of these DNA clones. I can’t speak for any but the one I have in my possession, of course, but I know first hand the short circuit protection does work. Did I mention I’m not the greatest coil builder? Just for fun, I also took a carto from a cigalike kit I recently reviewed and cranked it up to 20 watts. The 3 ohm carto gave me exactly one terribly charred puff before the coil popped. It was for science or something like that. I guess the moral of that story is, this thing packs a ton of power, use it responsibly. 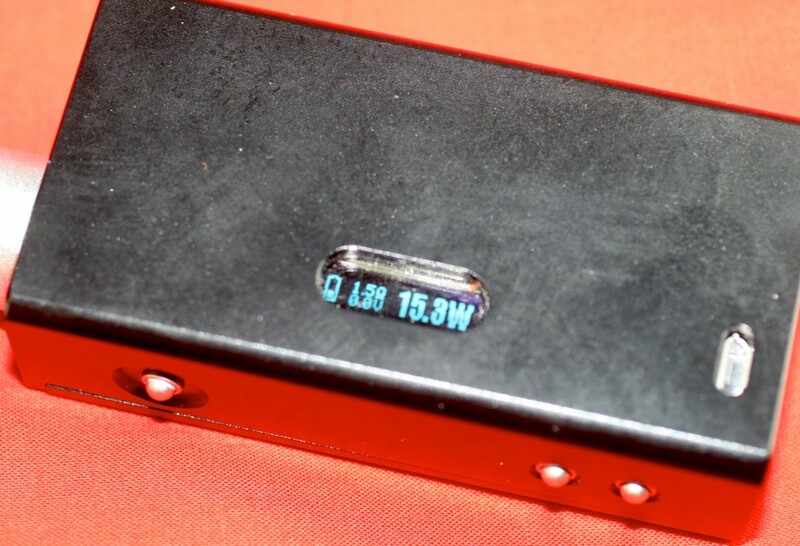 The Cana DNA 30 mod is a clone of the well-regarded Hana DNA 30 mod. The manufacturer had the good sense to not copy logos and make the design slightly different. I found the size of the device to be a little large and didn’t love the buttons. However I loved the performance and there’s enough dynamic range to use BDC tanks on a regular basis or make a 3.0 ohm cartomizer explode. Check out Mt. Baker Vapor for prices and colors.